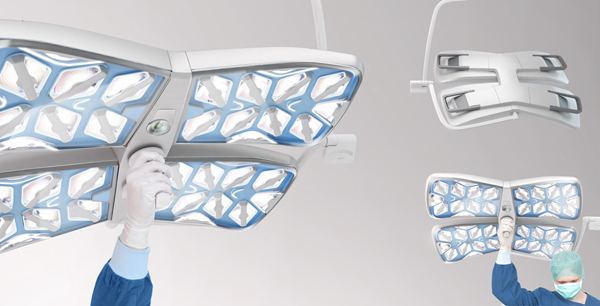 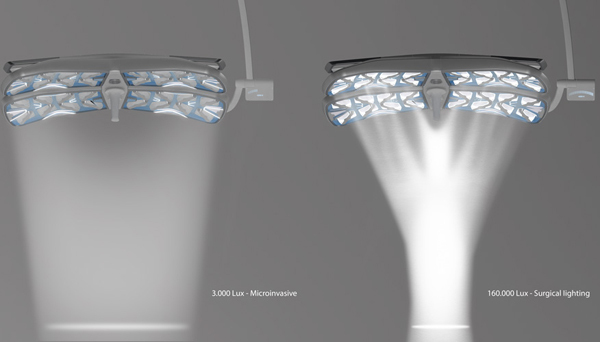 The APOLLO concept is a modular lighting system that provides flexibility in operating room illumination through the use of laser technology. 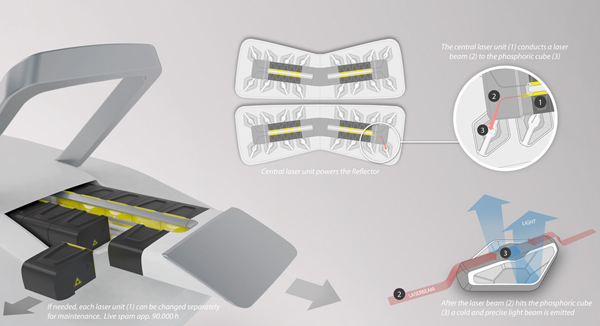 Using laser light increases luminous efficiency from 170 lumen/watt opposed to LEDs with 100 lumen/watt and allows for more compact dimensions. 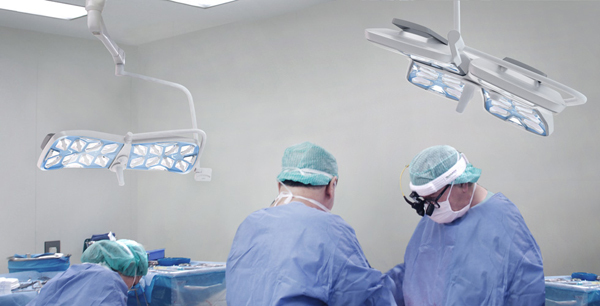 Built-in sensors adapt to every situation by changing the direction of light and adjusting brightness autonomously as surgeons move around, allowing them to focus on the task at hand without interruption.